Canadian Prime Minister Justin Trudeau has appointed a former justice minister to examine whether the dual role of justice minister and attorney general should be separated amid a scandal that threatens his Liberal party's re-election. Trudeau announced Monday that Anne McLellan, also a Liberal, would undertake the study. Trudeau reportedly wanted her to instruct prosecutors to reach the equivalent of plea deal and avoid a criminal prosecution of SNC-Lavalin because he felt that thousands of jobs were at stake. A conviction would bar the company from government contracts. The scandal has led to resignations of two high-profile Cabinet ministers, including Wilson-Raybould, and Trudeau's top adviser. Canada's top civil servant, Michael Wernick, also announced an early retirement on Monday, saying there is no path for him to have a relationship of mutual trust and respect with the leaders of the opposition parties. The opposition accused Wernick of being partisan when he testified that no inappropriate pressure was put on Wilson-Raybould and that Trudeau repeatedly assured Wilson-Raybould the decision on the SNC-Lavalin prosecution was hers alone. 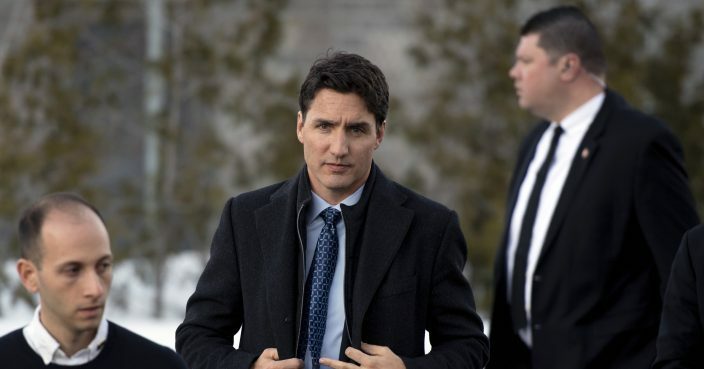 "Significant issues have been raised recently about relations between the former attorney general and justice minister and the government," Trudeau said in Parliament. The attorney general in Canada also serves as the justice minister and is an elected lawmaker in Parliament. Wilson-Raybould was demoted from her role as attorney general and justice minister and named veterans affairs minister in January as part of a Cabinet shuffle and resigned weeks later.